Shameless is my love for Valentine’s Day, but I’m not into the ooey gooey romantic stuff. I just like hearts. And pink. And love. But not necessarily the girlfriend/boyfriend kind. More like the kind that overwhelms you when you read a delicious book. 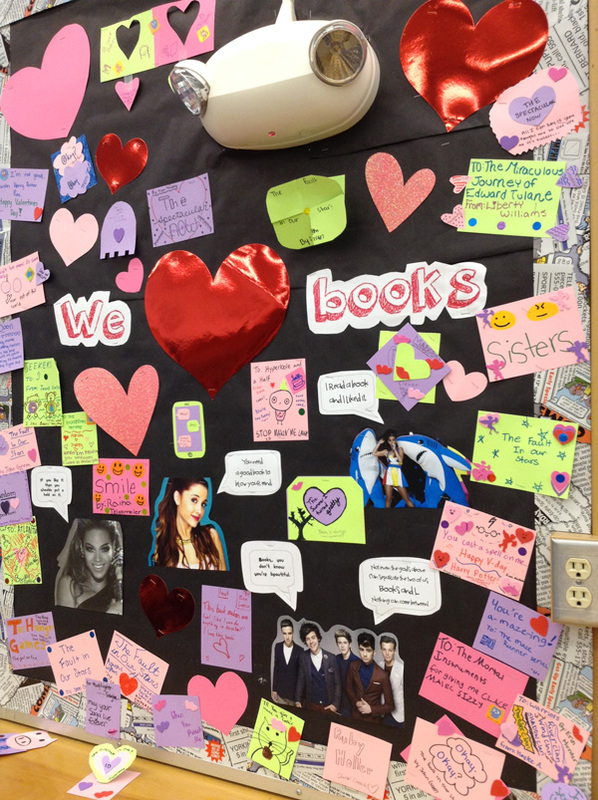 What better way to tell a book you love it than to make it a Valentine? I ask you? There is no other way. I tell you. 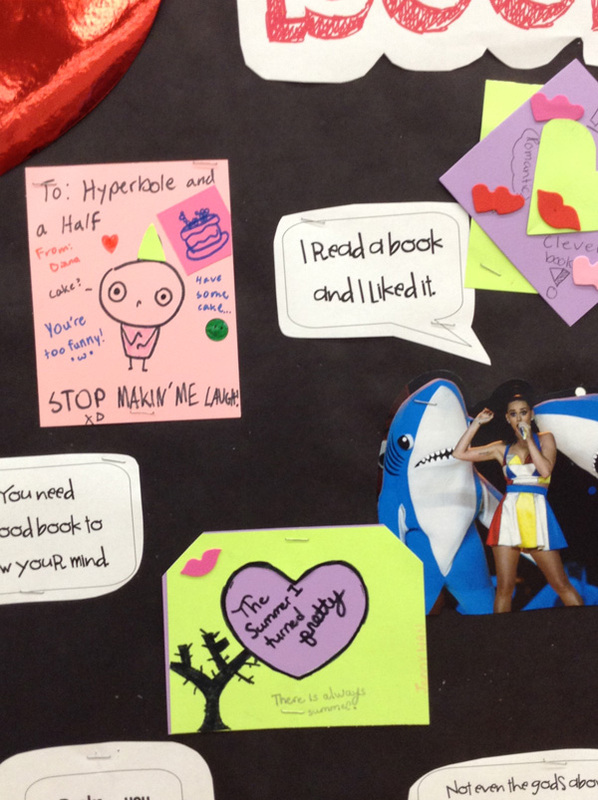 Books love being adored, and they prefer adoration be expressed in the form of a handmade little card. 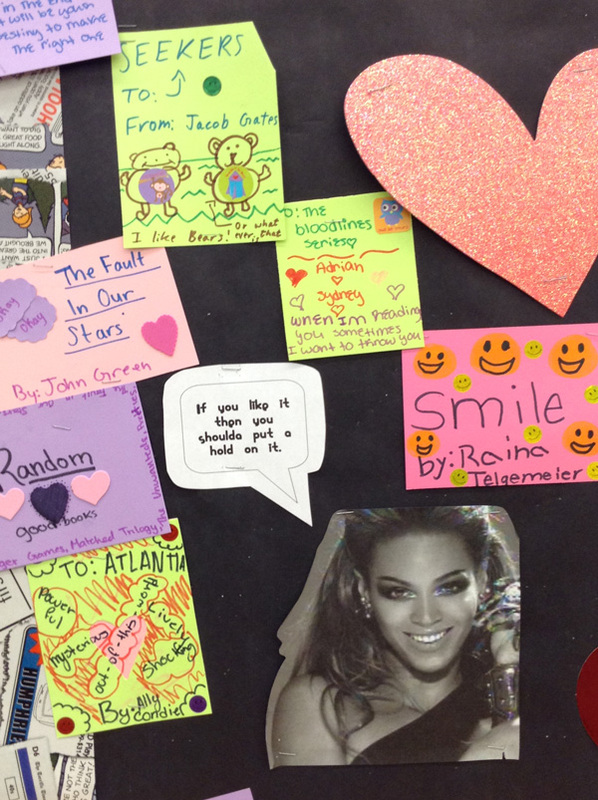 If you want to squeal maniacally with delight multiple times per day, ask your students to make Valentines for their favorite books. IT’S ADORABLE! The only terrible part is throwing the Valentines away when the month ends (or a crazy person could save all of them in an unused filing cabinet drawer, not that I’ve done that).